Choosing a roof is one of the most important choices a homeowner will have to make. Your roof is your ultimate line of defense from the hail, wind and raging Texas storms. After only just a few minutes of searching, it is easy to see there are very many options available. How do you choose? What is the best roof for Texas homeowners? When choosing a roofing system there is more to consider than just style or aesthetics. While these are important, other factors such as roof pitch, longevity, and budget need to be considered as well. Low slope roofs are what most would call a flat roof. Flat roofs are found mostly on commercial buildings but are often used in modern residential homes and other incidents that a flat roof would be desired. Conversely, a steep slope roof has a notably steeper pitch. Lets quickly look at low slope roofs before getting on to the more popular steep slope roofs. Low slope roofs are limited to a few different types of roofing systems. If aesthetics is to be desired, then using a standing seam metal roof may be the best option. Metal roofing is a very durable and long-lasting roofing material and is a very attractive option. Consequently, if aesthetics is of no concern, TPO, EDPM or modified bitumen would be better suited. Most homeowners will have this type of roof and as such, there is no lack of options when it comes to roofing materials. Composite shingles, slate, and metal are some of Texans favorite choices. Composite or asphalt shingles are typically made of a fiberglass mat between two asphalt layers that are then embedded with ceramic granules. These are the most common shingle and range from a basic three tab to a luxury décor shingle. These shingles can be economical and provide a solid 10 years of protection or be more expensive but provide exceptional protection with a luxurious style. Impact Resistant shingles, also known as Class IV or UL 2218 shingles, are a thicker composite shingle designed to resist the impact from hail. These shingles will last longer, resist granule loss better and have better wind resistance properties. Furthermore, discounts to homeowners are provided by many insurance companies with proof of a Class IV roofing system. Luxury shingles, like Owens Corning Woodcrest shingles, are typically thicker and perform well against Texas weather. Likewise, GAF Gran Sequoia Armorshield shingles are both beautiful and Class IV options and, therefore, also a candidate for Class IV discounts. Slate has long been a classic option for roofing materials for centuries and for good reason. However, now there is not only natural slate but also synthetic slate as well. Natural Slate is very long lasting when properly applied and one of the best roofs for Texas homeowners. Slate can easily last over 100 years and is naturally resistant to mold and fungus. A slate roof is, however, very heavy and will require the proper framing to support the weight and the use of other long-lasting materials such as hardwoods and copper. Synthetic Slate is a bit of a misnomer as it is more of a rubber roofing with an appearance of slate. While it will never be mistaken for real slate, it can be a viable option for a durable and cheaper material with a similar look. The key here is to make sure that a reliable product is being used like Davinci Synthetic Slate. Metal roofing may be the best choice for Texas homeowners giving the natural durability and variety of styles and options. From classy standing seam to the rugged r panels typically found on the country barn, metal roofing will have something to offer everyone. Standing Seam offers beauty, luxury, and protection all in one long-lasting package. 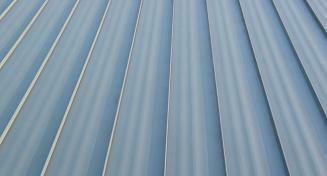 Standing Seam offers a variety of styles like smooth, ribbed or striated and comes in a vast selection of colors. Discounts can often be obtained from insurance companies much like the Class IV composite shingles. Impressed metal offers classic shake and shingle styles in the durability and longevity of metal. If even more protection is desired, then materials like stone coated steel from Decra would be a great option. Either option delivers premium protection against hail and wind with stone coating offering more longevity and perhaps, style. Choosing the right roof even with all the information available can still be challenging. We know that this is one of the largest purchases you will have to make for your home and choosing the best option is paramount. Baker Roofing & Construction can answer any questions you may have and guide you in your process in choosing the best roof for you. Contact us today to discover all the options available to you.